The sunshine battled the cold wind for control of the morning, but despite the cool breeze, I felt a wave of warmth. I had turned the final curve and was closing in on my goal. My lungs ached, my breathing was rapid, and if the muscles in my legs could speak they would be saying very nasty things to me. Chugging past my waiting family, I locked eyes with my wife. Her expression was a combination of pride and a worried "oh boy, he looks really tired." I then glanced up to see a giant clock ticking off the seconds. The number was a bit embarrassing to this old track athlete, so I pushed myself to walk a little faster. 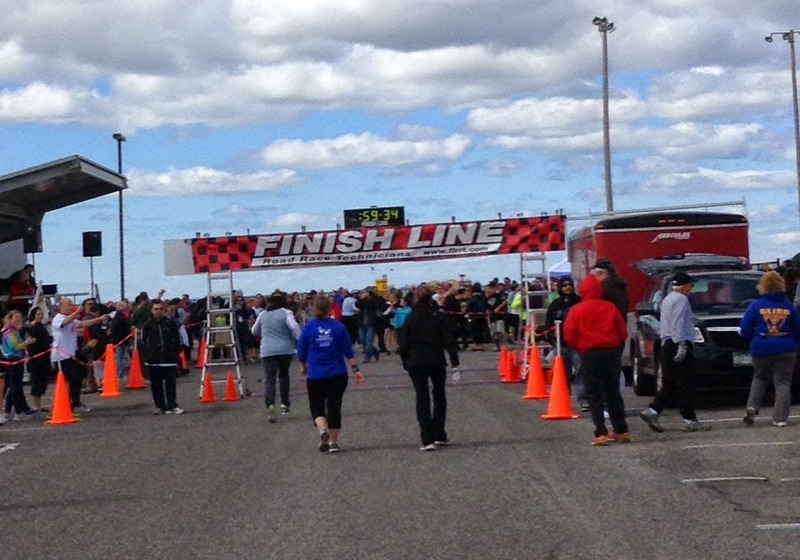 As I crossed the finish line seconds later, dozens of strangers cheered and clapped and my name was announced over a loud speaker. A wave of accomplishment washed over my tired body and, exercising one last muscle group, I smiled. Last year, after I completed that EJ Autism Jigsaw 4-Mile Walk/Run for Autism, I wrote that I did the walk (despite so many reasons not to) for one reason: To help my son Mikey and other children with autism. As this year's walk approaches, those same reasons (more like excuses) are still there, but my motivation has grown even more important. 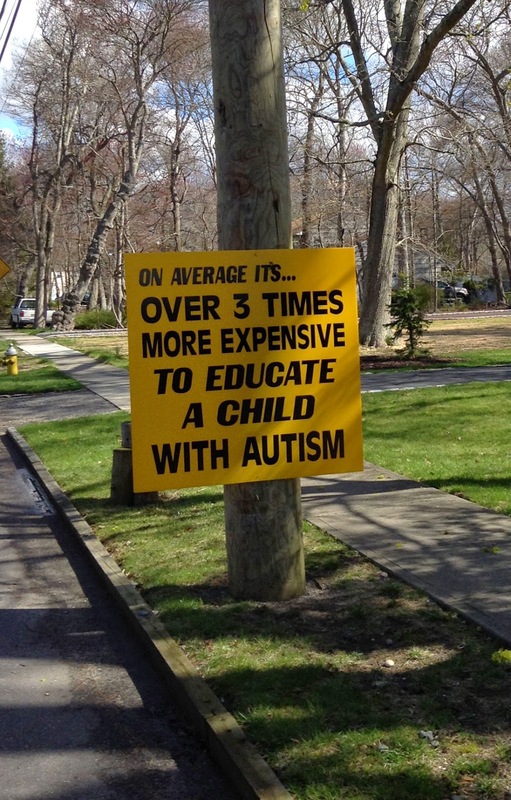 The number of children with autism continues to increase each year. And while the severity of each child’s autism varies on the spectrum, the fact remains that all of these kids have special needs and need to be taught and interacted with in specific ways. These ways are often expensive and not always available to every child. I can bear witness to the fact that when a child does get the special education and treatment plans they need, they will grow and often thrive in ways that are visibly obvious. This is important for their future development and ability to lead a happy life. An autism family depends on a community to help their child. There are teachers and doctors and therapists who interact with an autistic child on a regular, sometimes daily, basis. Then there are the strangers, like those who cheered at the EJ Autism Walk finish line, or the families who live in the neighborhood where the walk takes place and hold up encouraging signs, hand you bottled water, and shout out heart-warming phrases as you pass by. You are all part of the growth of our children with autism and we thank you. As I said, I’ll be doing the Jigsaw Walk/Run again this year (this time as a team called, “Mikey’s Marchers”). My incredible son, Mikey, is again my main reason, but I also think of his classmates and all the other children on Long Island who need that extra care and attention. What they go through every day on their path through autism is very challenging and often frustrating. A four-mile walk is nothing compared to their journey. The EJ Autism Foundation is a great charity that works “to create Autism Awareness and to support programs and schools on Long Island that currently work with children on the spectrum.” The Jigsaw Run/Walk is one of their annual events to raise money to do the wonderful work they do. Won’t you support them (and me) to reach our incredibly important goals?